6 Months Half Price Broadband! 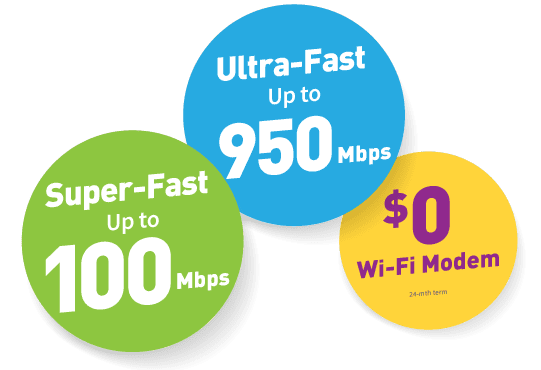 Choose from Unlimited Super-Fast 100Mbps or Ultra-Fast 950Mbps speed tiers. When you order any plan on a 24 month contract by the 30/09/17 you will receive your first 6 months for Half Price! ¹The fastest Fibre speed up to Fibre Pro 1Gbps speed tier (nominal access line speed), 950Mbps Download and 500Mbps Upload on a wired connection depends on your location. Your actual download and upload speeds will often be slower than the nominal access line speed and may vary due to a range of factors. Only available to new residential customers in selected areas.